The U.S. released 14 Pakistanis from the Bagram military prison in Afghanistan on Saturday and transferred their custody to the government of their home country. An intelligence official within Pakistan’s government, who spoke on condition of anonymity because details surrounding the release have not been officially released by Pakistan, indicated that some of the 14 prisoners may be released. The Pentagon and the U.S.-led international coalition in Afghanistan have confirmed release. “These detainees were transferred to Pakistani custody with appropriate security assurances, which includes a criminal investigation, and assurances of humane treatment,” added Caggins. A spokesman for NATO’s International Security Assistance Force (ISAF) headquarters in Kabul told Breitbart News that the 14 prisoners were jailed within the confines of the laws of war. Pakistan’s Foreign Ministry has also confirmed the release, according to various media accounts from inside Pakistan. The Ministry did not provide any details on whether the detainees will be kept in custody or prosecuted. However, an intelligence official from Pakistan’s government indicated that some of the 14 detainees may be released after they are vetted. According to The Guardian, the detainees were never charged. As reported by the British outlet, the Pentagon failed to concede that the 14 Pakistanis were never a threat to the United States. 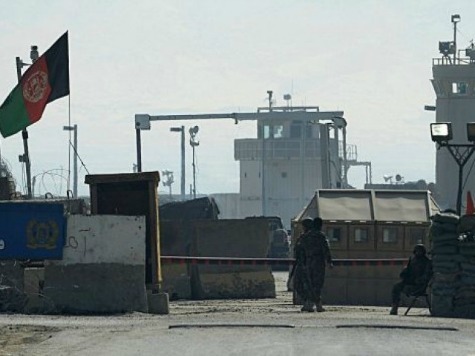 The 14 Pakistanis were being held in the Bagram detention center north of Kabul where the United States holds prisoners from its war on terrorism. The Justice Project Pakistan, a legal firm that is representing some of the prisoners in Bagram, first announced their release. Caggins told The Guardian that “less than 15” non-Afghan detainees were currently being held at Bagram. Most of the non-Afghans held at the prison are Pakistanis, but individuals from Yemen, Tunisia, Jordan, and Russia are also incarcerated there, the article revealed. According to The Justice Project Pakistan, 39 Pakistanis have been released in the last ten months. The recent release of 14 Pakistanis marks the largest. Two Yemenis were also released last month. On June 9, The Daily Beast reported that Robert Cardillo, a deputy director for national intelligence, told senators in a classified briefing that four out of the five Taliban leaders Obama released in exchange for U.S. Sgt. Bowe Bergdahl would return to the battlefield. Islamabad-based reporter Sib Kaifee contributed to this report.